Vassula Rydén’s memoir “Heaven is Real But So is Hell” transcribes her encounters with God and is becoming a hit — with 50k copies already sold in the US. Hold on to your seat, this is quite a ride. Vassula Rydén, an Egypt-born former diplomat’s wife now living on the Greek island of Rhodes, claims to hear the voice of God. He dictates messages to her for the world to hear which she has written down and gathered in a mammoth, 1,130-page notebook published by her own True Life in God foundation. That was some years ago. 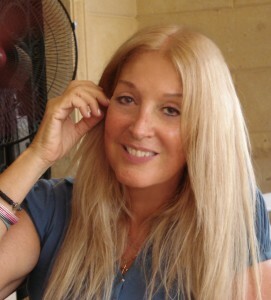 Now she is beginning to reach out to the non-religious, to a general audience who haven’t heard of her, with her memoir Heaven is Real But So is Hell, published by Alexian, the first title from the Bath-based independent established by UK publishing veteran, David Alexander, who ran Element Books (later part of HarperCollins) in the Nineties. Meeting her is fascinating. Some have said that they see the face of Christ in her, and on this morning, at her hotel in Earls Court, she is without make up and there is indeed something Christ-like about her appearance. She has a longish face, penetrating eyes and one can’t help but be reminded of the image of Christ on the shroud. Does she still receive the messages today? “Yes, in the last few days before I came to the UK, I had a message about unity — a message that I will read in October when we will all gather in pilgrimage in Rome.” Rydén tours the world giving talks — ‘witnessing’, she calls it — to the consternation and admiration of the Catholic church in equal measure. To some she’s a heretic; to others, a genuine Christian mystic. She is said to have seen Christ, had visions of Hell and is blessed with various spiritual gifts — from healing to prophecy to being the cause of, or the central figure in, some extraordinary, supernatural events. Mind body spirit sections in bookshops are full of titles by people who claim to see angels or to have a connection with the spirit world. The area is not to everyone’s taste, but is in a long line of accounts of religious experience that goes all the way back to such respected figures as Julian of Norwich and Teresa of Avila. Today, many people — particularly in the west — dismiss religion and dance to the scientific atheism of Richard Dawkins, author of The God Delusion. He rejects spiritual experience as “the mind’s simulation software.” How does Rydén respond? Her book is packed full of extraordinary experiences. Among the most intriguing occurred after she gave a talk at a pilgrimage in Turkey. It is her account of a physical manifestation of the Divine. “I was leaving the hall after giving the talk when a man looked at me and said “you have holy glitter on your face.” Now this man had experience of this phenomenon and I knew this so I thought, ‘oh yes, this man sees glitter everywhere.’ So I said to him ‘where?’ and he said ‘around your mouth.’ I dismissed this and said that maybe I had, you know, put on some of that make-up you can get which seems like there is glitter in it. ‘That is what you see,’ I said. So I didn’t accept what he was saying. “I went up to my room — they had given me a suite which was all light, sort of beige colors — and after a while I began to see kind of spots of gold on the carpet. I thought maybe with the lights and everything it is picking out some gold thread in the carpet. But then I saw the sofa and I thought ‘why do they have this gold everywhere?’ And then I saw that this is not only gold, there are other colors too. And I thought, glitter? And when I was looking at it, it was materializing, on the table, on the sofa, on the phone, on the bed sheets, on my papers, everywhere in the two rooms of the suite. Make what you will of this, it is hard not to be riveted by such accounts. It may explain why the title, distributed by NBN International, has sold some 50,000 copies in the US. Rydén’s fascinating journey continues. 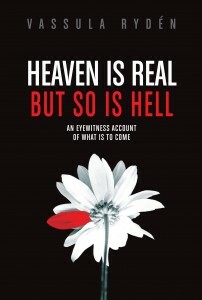 “Heaven is Real But So is Hell” is published by Alexian in the UK at £16.99 on 19 November.